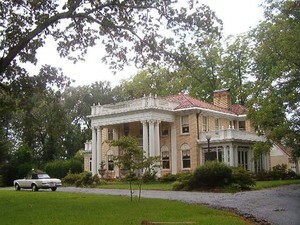 Augusta Road Homes are located close to Downtown Greenville. 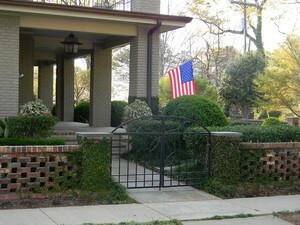 There are all types of historic homes and new construction homes for sale in the Augusta Road area. If your are looking for a smaller bungalow or an in town estate the Alta Vista, Greenville Country Club, or Chanticleer area is where many of Greenville's finest homes can be found. These properties are close to Augusta Road shopping, restaurants like Augusta Grill, The Block House, and Gourmet Pizza. Greenville Country Club Golf Course, and the ever expanding GHS or Greenville Hospital System. Not to mention it is just a short walk or drive down Augusta Road to the amazing West End of Downtown Greenville where families can catch a Greenville Drive ball game, take a stroll in Falls Park along the Reedy River, or jump on the Swamp Rabbit trail for a bike ride. The Alta Vista area is centered around Cleveland Park and many people who like to exercise, walk, run, and cycling really enjoy the Cleveland Park area. For those who like to stay active you can take the kids to the Greenville Zoo one afternoon to check out the wildlife or play at the park. Housing prices in this area range from affordable to expensive depending on the property or home the buyer is looking for. Downtown Greenville Augusta Road area is comprised of many great streets with some amazing historic homes with beautiful yards and some of the streets located in this area are McDaniel Ave, Crescent Ave, Jones Ave, Capers Street, W. Prentiss, E. Prentiss, Tindal Ave, Fairview Ave, Belmont Ave, Ben Street, Woodland Ave, McIver Street, Faris Road, Conestee Ave, Tomassee Ave, Keowee Ave, Rice Street, Myers Drive, E. Tallulah, W. Tallulah, Lanneau Drive, Longview Terrace, Woodvale Ave, Byrd Blvd, Country Club Drive, Riverside Drive, Westminster Drive, Rockwood Drive. Cammer Ave, Augusta Court. Nice infill lot in City of Greenville. Walk to Cleveland Park; YMCA, Swamp Rabbit Trail, and more. Nice infill lot in City of Greenville. Water and Sewer available but taps not in place.